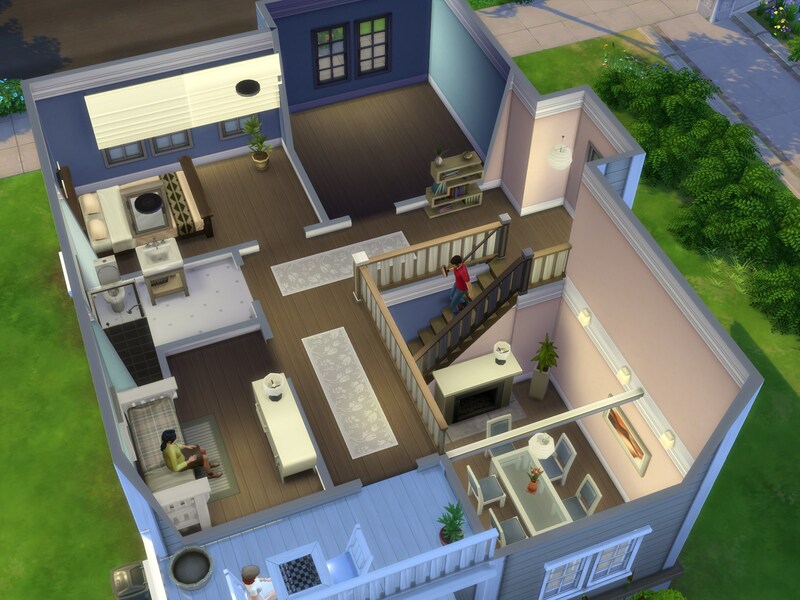 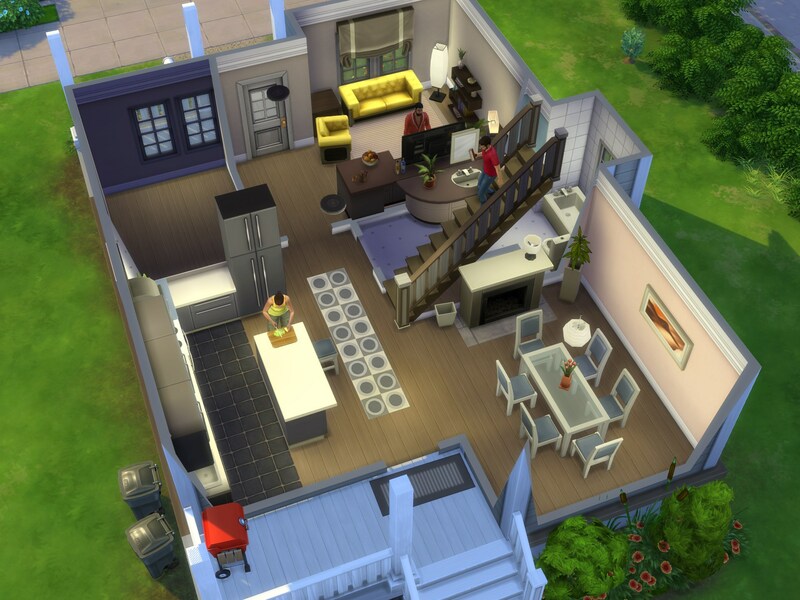 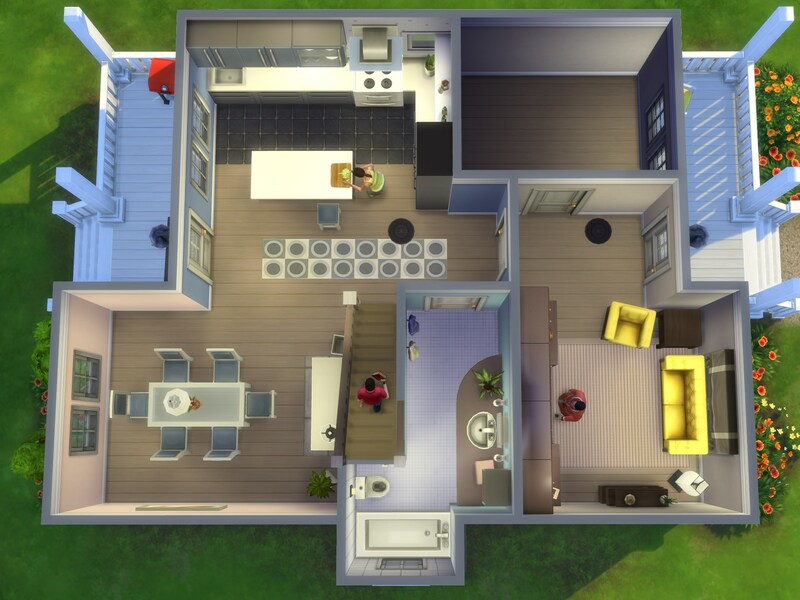 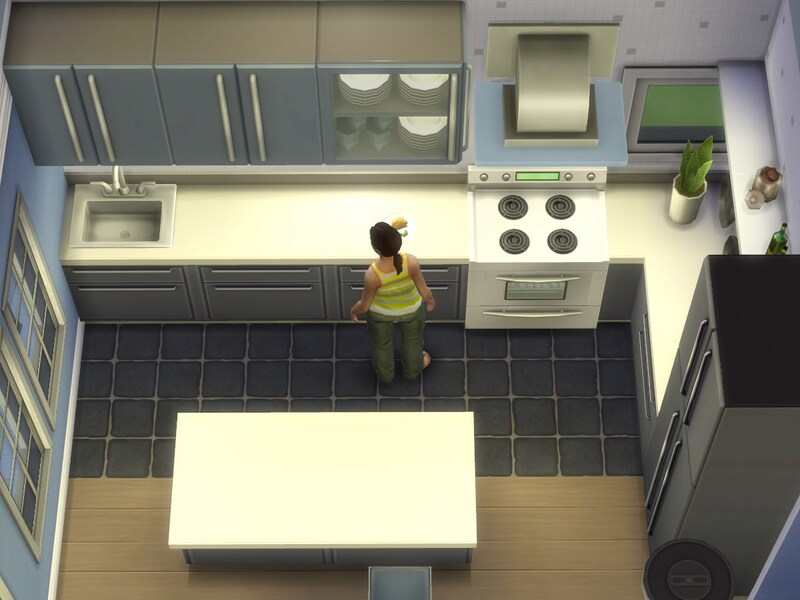 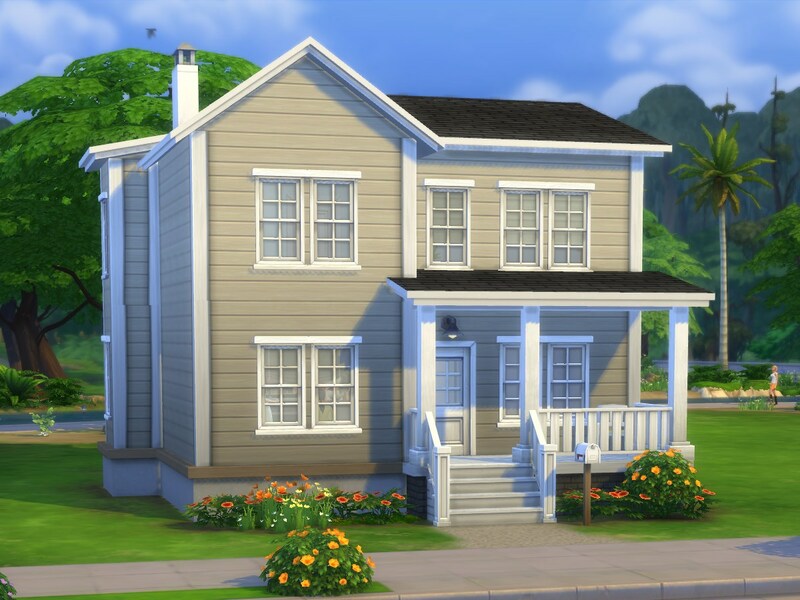 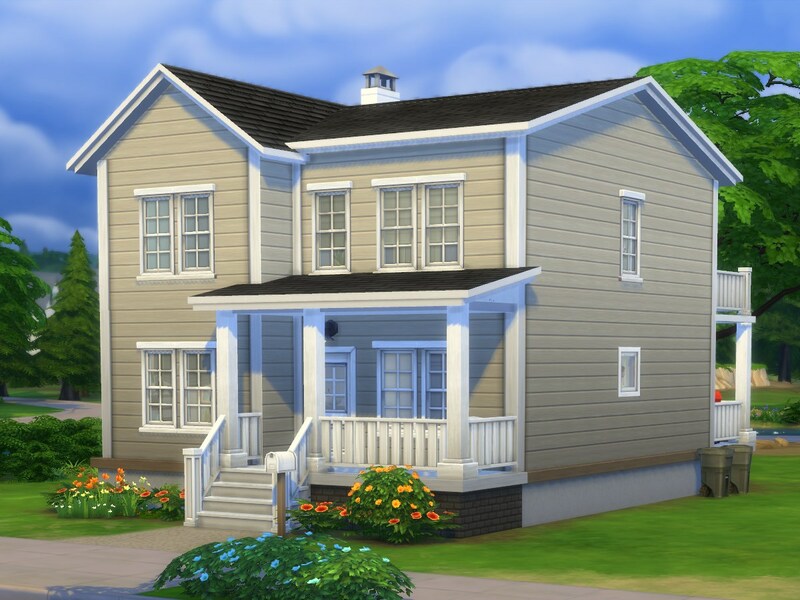 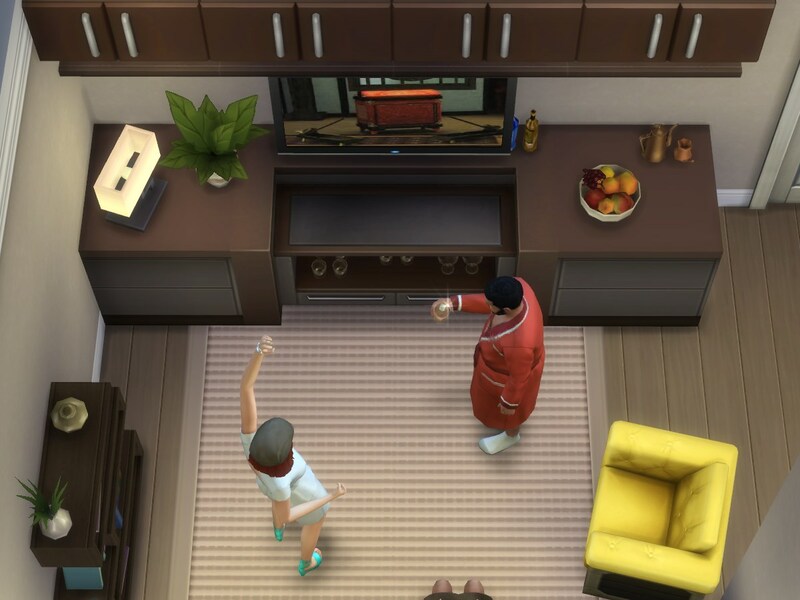 A comfortable house for 4‒6 sims: three bedrooms (one of them empty), two baths, open dining and kitchen, living room, and another empty room that could be used as a study or nursery. 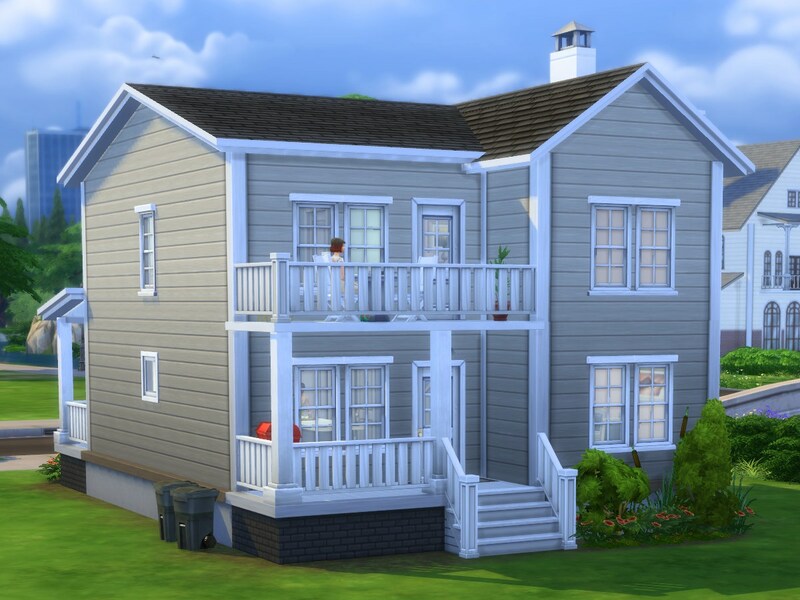 Plus front and back porch and a small balcony on the back side. 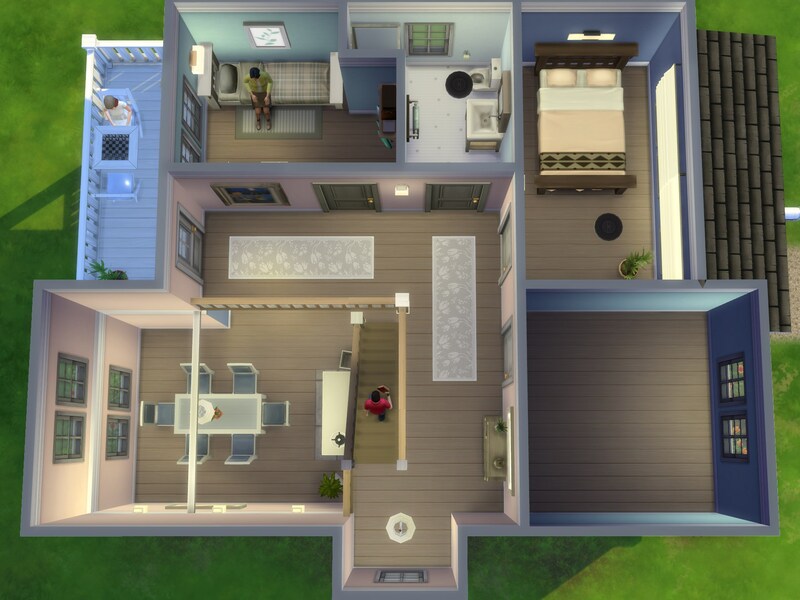 This will fit on a 15×20 lot as shown (prices given below are including a 1.500§ lot).